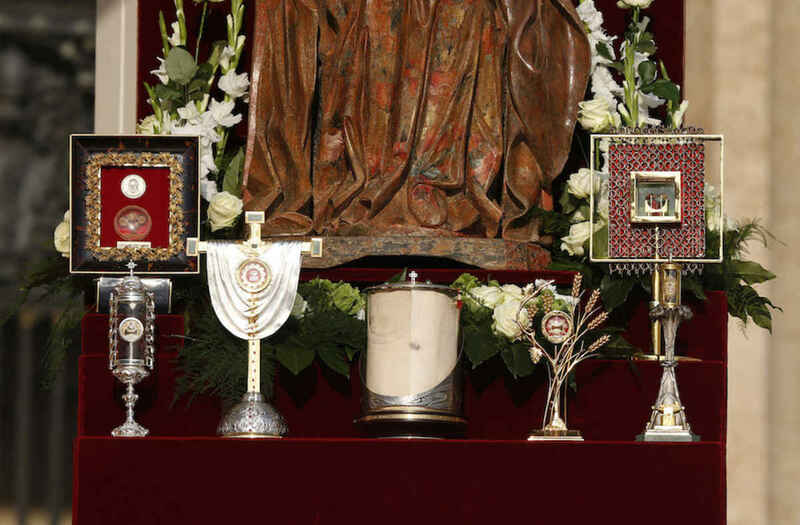 Perhaps the Lord has called me and preserved me for this service not because I am particularly fit for it, or so that I can govern and rescue the Church from her present difficulties,but so that I can suffer something for the Church, and in that way it will be clear that He, and no other, is her guide and savior. 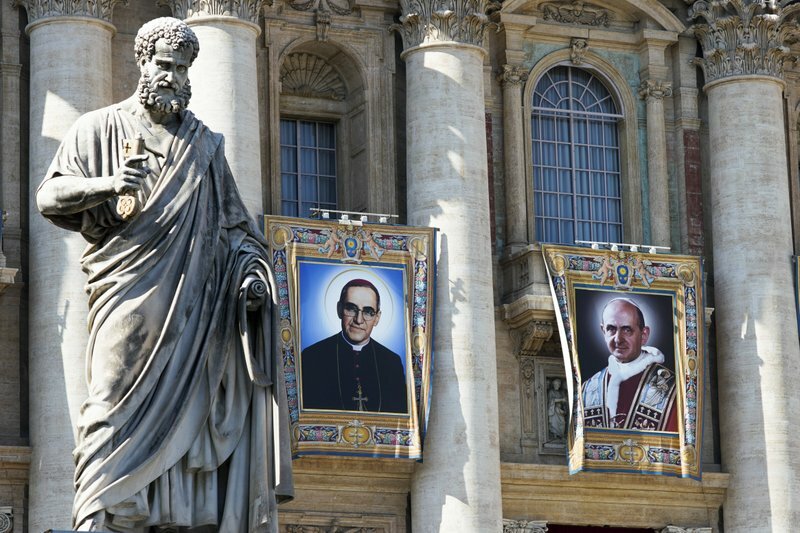 –Pope St. Paul VI (quoted by Pope Francis today). 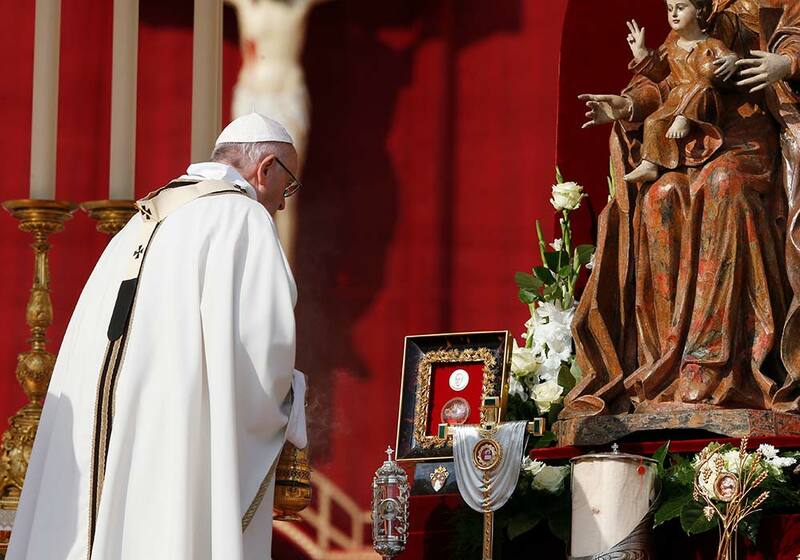 In this humility the grandeur of Pope Paul shines forth: before the advent of a secularized and hostile society, he could hold fast, with farsightedness and wisdom–and at times alone–to the helm of the barque of Peter, while never losing his joy and his trust in the Lord. 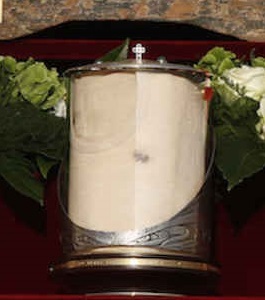 Relics of each new saint were carried to the altar – part of a bone for Romero and the shirt Paul VI was wearing when he was stabbed in an assassination attempt at the Manila airport in 1970. 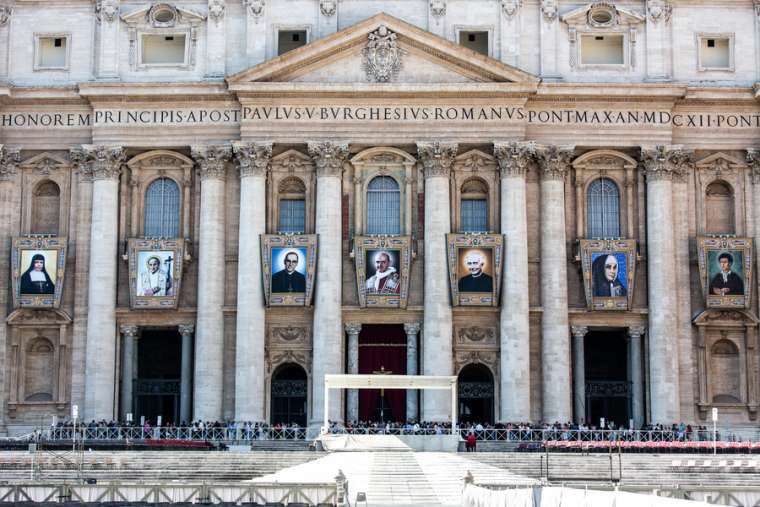 The relic of Pope St. Paul VI is the white one in the center.